I'll be on, live, around 8:30 a.m. (EST) on the "Morning Living" program, hosted by Betsy Karetnick & Brian Kelsey. They're interested in sharing info on Garden Walk Buffalo with their listeners. I'm expecting deep, probing questions, like, "When did Garden Walk start?" and, "What can people expect to see?" 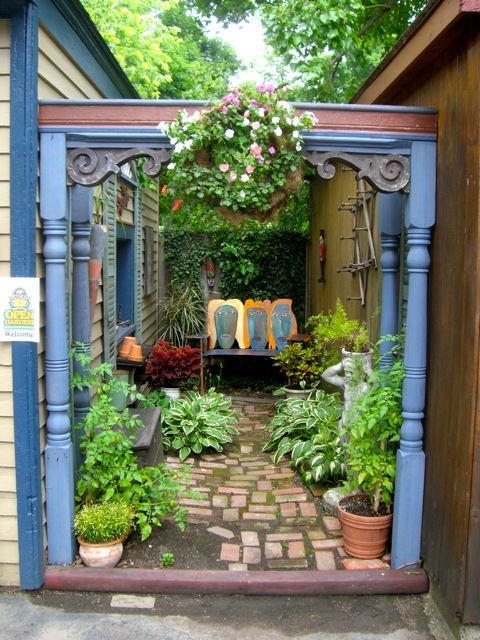 Native Buffalonian and current Home, Realty and Garden editor of the Pittsburgh Post Gazettte was in town a few weeks back and wrote this article on Garden Walk and the Delavan garden of the Guercios. 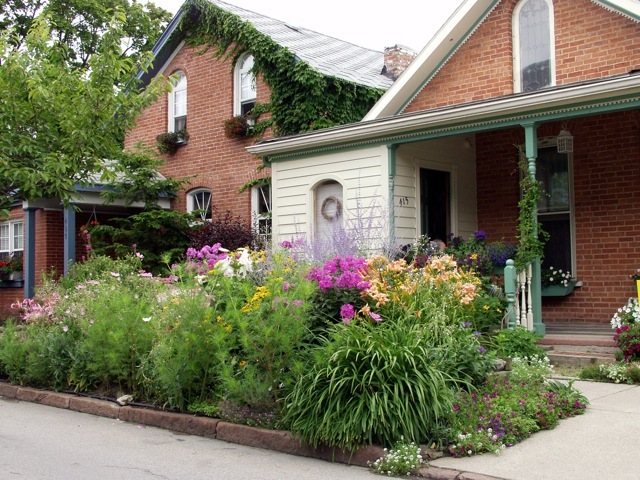 David Hobson of Kitchener/Waterloo canada's The Record wrote this great article on Garden Walk. "Show Stoppers" in The Buffalo News - Union Place's Deidra & Dawn's show-stopping trumpet vine. Garden Gate magazine was here most of last week taking photos of gardens all over WNY. 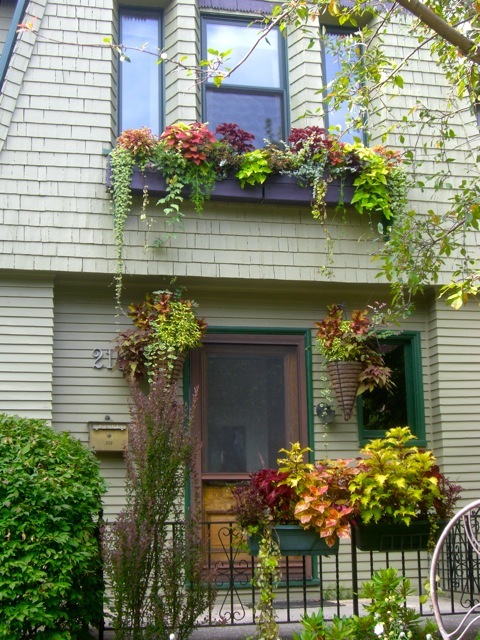 Associate editor Jim Childs says, "I've never been in a city that had so many great residential gardens so close to one another. This is great for us!" Last week, Canadian garden columnists for the Hamilton Spectator and AM900 CHML radio host Rob Howard; St. Catherines Standard garden columnist Threresa Forte, and Kitchener/Waterloo's The Record & Guelph Mercury garden columnist David Hobson were in town and received a "mini-tour" of Garden Walk gardens. 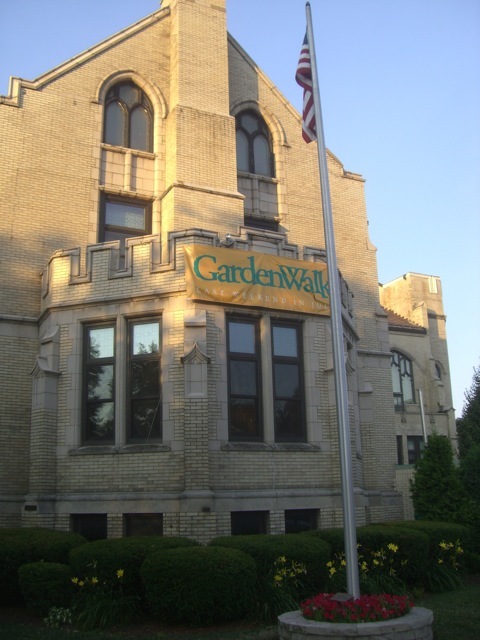 An Assistant editor of Canadian Gardening will be in Buffalo for Garden Walk weekend this year. 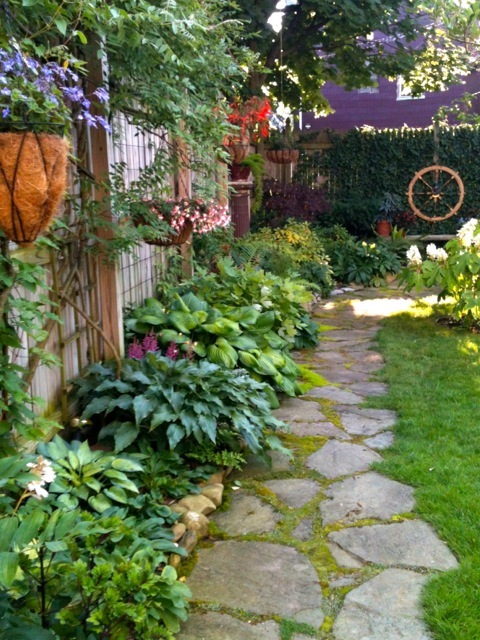 Great Backyard Gardens, and Backyard Solutions editor, Barbara Ballinger, will be visiting during Garden Walk this year. Both magazines have published dozens of Buffalo gardens in their nationally-distributed publication and look forward to publishing more. The Walk is this weekend. Wish us luck. And cooler weather. And no rain. Maps are available online here. watering the boxes & baskets, at least they'll look good.